Why Choose a Signature Wedding? 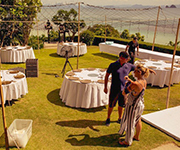 Signature Weddings, has but one aim, to help you create the most spectacular and unforgettable bespoke wedding, in one of our truly stunning villas on Koh Samui or Phuket, the paradise isles of Thailand. With over 30 years of combined 5 star experience and a passion for perfection, Signature Weddings offers the ultimate in a hand held planning and preparation service. With outstanding attention to detail, Signature Weddings ensures all your expectations are created to the highest wedding standard. Our Events Planner and the Signature Weddings team have extensive knowledge of each villa and have all the key components that are needed at their fingertips, in order to create the breathtaking wedding that you desire. This commitment and understanding of what you the client see as your dream wedding will have the Signature Wedding team creating to your perfection, each aspect of this unforgettable occasion. This incredible and amazing day in your life can be handed over with ease to our Events Planner and the team. Your exclusive wedding day will be implemented with seamless precision ensuring nothing less than the ultimate in quality and style. 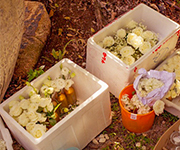 Our commitment to you is quite simply, to deliver the most memorable day in your life. Where in exquisite luxury you will feel nothing less than loved, worshiped and adored!